Fred Luo is a camp weapons merchant and an old friend of Gene Starwind. 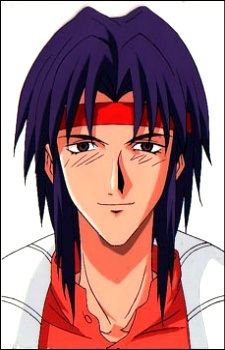 Gene goes to him to supply weapons for the Outlaw Star, although it costs a lot of money for Grappler Ship weapons. Although Gene works hard to pay Fred back all the money he owes him, Fred offers discounts for doing favors for him and is willing to help Gene, so Gene is eventually able to pay him back. Fred is also obviously homosexual and is infatuated with Gene Starwind, a fact that is used occasionally for comic relief.